The Minack Theatre is an open-air theatre above a gully in a rocky granite setting by the sea at Porthcurno in Cornwall. 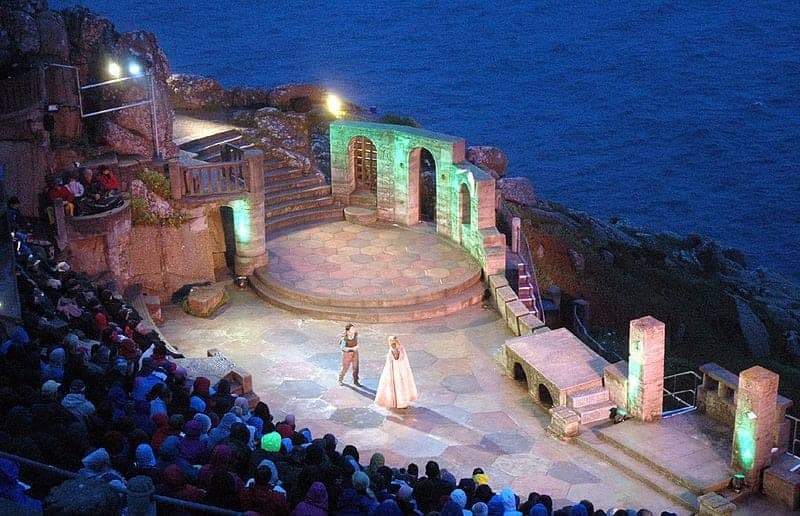 One of the world's most spectacular theatres, it started out when resident Miss Cade offered the garden of her house as a suitable location for a local theatre group to perform The Tempest, as it was beside the dramatic sea backdrop. She created a terrace and rough seating to accommodate the performance which took place in 1932. Now there is a full summer season of 20 plays, produced by companies from all over the UK and visiting companies from the USA.